"Always on top of her brief, terrifyingly clever, and someone who always keeps her eye on the client's commercial goals, she is an absolute delight to work with"
Sarah Abram is consistently recognised by the legal directories as an outstanding junior. Current directories include comments that Sarah “knows how to take big decisions and is confident in her tactical approach” and that “her attention to detail, accuracy and ability to communicate complicated things to clients is fantastic”. She was nominated as EU and Competition Junior of the Year in the Legal 500 UK Bar Awards 2019. Sarah frequently acts unled, often against silks, including in large-scale multi-jurisdictional litigation. She also enjoys working as part of a bigger legal team, with other counsel and with instructing solicitors. She has particular interest and expertise in cases dealing with more than one area of law, e.g. cases that combine commercial elements with other areas such as competition, EU or public law. Sarah Abram is consistently recognised by the legal directories as an outstanding junior. Current directories include comments that Sarah “knows how to take big decisions and is confident in her tactical approach” and that “her attention to detail, accuracy and ability to communicate complicated things to clients is fantastic”. Sarah speaks fluent French and some German; she is frequently instructed in cases involving documentary evidence in either or both languages. She is called to the Irish Bar and will be a member of the Irish Law Library from October 2018. Sarah works across the full range of competition and EU law disputes, including competition damages claims, competition litigation and regulatory investigations and appeals. She has substantial experience of multi-national litigation and of European Commission and CMA investigations. For instance, she is currently representing Panasonic unled in Mediamarkt v Panasonic, a follow-on damages claim relating to the CRT cartel, with an alleged value of €200 million. She is acting (led by Mark Hoskins QC) for Volvo and Renault in the English litigation relating to the Trucks cartel. Sarah’s commercial practice encompasses both litigation and arbitration. For example, she recently appeared in the Court of Appeal for the Respondent in Canal & River Trust v Thames Water Utilities Ltd (Part 8 proceedings)  EWCA Civ 342, sharing the oral advocacy with her leader. She is also instructed in a major international commercial arbitration concerning contractual royalty payments in the pharmaceutical industry. Finally, Sarah practises in the field of public and administrative law, particularly where regulatory matters and/or issues of EU law are involved. She was recently instructed as junior counsel for the defendant in a preliminary reference to the CJEU concerning execution of a European Arrest Warrant (Case C-268/17 AY, judgment of 25 July 2018). Sarah is also acting in the long-running Francovich claim, Speciality Produce Ltd v DEFRA, which is listed for a trial of causation and quantum issues in Spring 2019. Sarah has a particular interest in public procurement law; she is frequently instructed in litigation or to advise in this field. Sarah undertakes substantial pro bono work through the Bar Pro Bono Unit, both as counsel and as a reviewer of applications for assistance. Mediamarkt Saturn Holdings v Panasonic & ors: acting unled for Panasonic in this follow-on damages claim relating to the CRT cartel, with a claimed value of approximately €200 million. The hearing of Panasonic’s summary determination and jurisdiction application is listed for November 2018. Litigation concerning the Trucks cartel (with Mark Hoskins QC): acting for Volvo and Renault Trucks in the UK litigation relating to the Trucks cartel. Includes High Court and CAT proceedings, and prospective CPO proceedings. Vattenfall AB & ors v Prysmian & NKT (with Aidan Robertson QC)  EWHC 1694 (Ch): counsel for the Claimants in this follow-on damages claim relating to the power cables cartel. Sarah and her leader shared the oral advocacy at the High Court hearing of the Defendants’ (unsuccessful) summary determination and jurisdiction application. Intended CPO application for cartel damages: preparing for an intended CPO application on an opt-out basis in relation to a Commission investigation. Intercontinental Exchange, Inc v Competition and Markets Authority  CAT 6 (with Marie Demetriou QC): junior counsel for the CMA in this high-profile case, in which the CMA successfully defended its first decision requiring unwinding of a completed merger. Granville v MELCO: acting unled for a defendant to this damages claim in connection with the DRAM cartel. International arbitration (unled), involving a challenge to the lawfulness of a number of contractual clauses under EU competition law, including pre- and post-termination non-compete obligations. Apple v Nokia (with Jemima Stratford QC and Adrian Speck QC): junior counsel for Nokia (i.e. the patentee) in this major competition law litigation raising issues relating to FRAND terms and abuse of dominance for the licensing of intellectual property rights. Acting as junior counsel for Panasonic and Sanyo, defendants in the lithium ion batteries follow-on claim (Microsoft v Sony & ors), which had an alleged value of almost €2 billion. Acting unled for a bank in connection with High Court applications for disclosure of documents relating to it, including documents from the Commission file, in proceedings to which the client was not a party. Thomas Armstrong Timber Ltd: (unled) advised and represented a firm subject to an investigation into a cartel in the market for the supply of furniture parts. The firm reached a settlement with the CMA (decision issued 27 March 2017). Whitby Seafoods/Dawnfresh Seafoods: advised Whitby Seafoods (unled) on the CMA’s investigation of its acquisition of assets owned by Dawnfresh Seafoods. The CMA issued a Phase 1 clearance decision in June 2016. Unwired Planet v Huawei, Samsung and Google (with Jemima Stratford QC and Richard Meade QC): junior counsel for the Claimant in this landmark UK FRAND litigation, leading to the judgment of Birss J,  EWHC 711 (Pat). Case T-82/13 Panasonic Corporation v Commission (with Mark Hoskins QC): appeal to the General Court against the Commission’s CRT cartel Decision. Tomlinson v OFT  CAT 7 (with Aidan Robertson QC): successful appeal to the CAT against a penalty imposed by the OFT on one of the addressees of its September 2009 Decision concerning cover-pricing in the construction industry. A Nelson & Co Ltd v Guna SpA  EWHC 1202 (Comm) (with Fergus Randolph QC): acting on behalf of the claimants, successfully contested a competition law Euro-defence, aimed at preventing enforcement of the contract which was the subject of the claim. National Grid v Ofgem  CAT 14 (with Fergus Randolph QC): instructed for an intervener in National Grid's appeal against a Decision by Ofgem finding that National Grid had abused its position of dominance in the market for domestic gas metering. BAGS and ors v AMRAC and ors ( EWHC 1978 (Ch);  EWHC 2688 (Ch)) (with Nicholas Green QC, Pushpinder Saini QC and Mark Hoskins QC): competition law claim involving challenges to the validity of various agreements for broadcast media rights to live horseracing. Frequent advisory work on issues of competition law, including the law of State aid. Case C-268/17 AY (with Maya Lester QC), judgment of 25 July 2018: acting for the defendant to national proceedings in a preliminary reference to the CJEU concerning human rights issues in the execution of a European Arrest Warrant, and the principle of ne bis in idem/double jeopardy. Reeves v HMRC  UKFTT 192 (TC); Upper Tribunal decision awaited: acting for HMRC in its defence of an appeal against a tax determination, raising issues of EU free movement law. The taxpayer’s appeal to the Upper Tribunal was heard in July 2018. Sarah shared the oral advocacy on behalf of HMRC with her leader in both the FTT and the Upper Tribunal. Challenges to Tobacco Products Directive (Directive 2014/40/EU)  EWHC 3515 (Admin);  EWHC 3669 (Admin) (with Mark Hoskins QC): Sarah was instructed as junior counsel for the Secretary of State for Health in the domestic judicial review claims challenging the validity of the Tobacco Products Directive. All of these claims were referred to the Court of Justice of the European Union; its judgments, dismissing the claims, were given on 4 May 2016. UKPNS v GEMA  EWHC 3678 (Admin) (with Richard Gordon QC): successful claim for judicial review seeking the quashing of an Ofgem determination on the Third Package of EU law measures providing for access to electricity markets. Door 2 Door Services Ltd v Burton NHS Trust (unled): public procurement claim relating to a procuring body's withdrawal of a tender process, acting for the claimant. Hargreaves Industrial Services Ltd v Yorkshire Forward: defending a public procurement claim relating to a decision to award the contract to another tenderer. JPMorgan v BVG: jurisdiction dispute, in which the Supreme Court made a preliminary reference to the CJEU on questions of the interpretation of the Brussels Regulation (for judgments below, see  EWCA Civ 390;  2 WLR 690,  EWHC 1627 (Comm)) (with Tim Lord QC and Simon Salzedo QC). UBS AG v Kommunale Wasserwerke Leipzig ( EWHC 2566 (Comm)) (with Tim Lord QC and Stephen Midwinter QC): also raised issues of jurisdiction under the Brussels Regulation. Sarah has a particular interest in public procurement and State aid law; she is frequently instructed in litigation or to advise in these fields. Many of the cases in which Sarah is instructed in the spheres of competition, regulatory, EU or public law have commercial law elements or are set in a commercial context. Canal & River Trust v Thames Water Utilities Ltd  EWHC 1547 (Ch),  EWCA Civ 342 (with Sa’ad Hossain QC): Sarah was instructed as junior counsel for the Defendant in this Part 8 claim regarding payment for water abstractions from the River Lee, from the commencement of the proceedings through to the judgment of the Court of Appeal. In the Court of Appeal, the oral advocacy was split between Sarah and her leader. Ongoing international commercial arbitration concerning contractual royalty payments in the pharmaceutical industry (with Daniel Jowell QC). Raises issues of intellectual property and competition law in addition to questions of contractual construction. Ongoing international commercial arbitration (unled) involving tortious and contractual claims following purchase of rights to a pharmaceutical product. JPMorgan v BVG (with Tim Lord QC and Simon Salzedo QC): credit crunch claim relating to a derivatives transaction (CDS/CDO), raising issues of jurisdiction under the Brussels Regulation. The litigation reached both the Supreme Court and the Court of Justice of the European Union. Ongoing Commercial Court proceedings (unled) involving economic tort claims between contractual counter-parties. Fortress Value Recovery Fund v Blue Skye Special Opportunities Fund (with Tim Lord QC) eg  EWHC 261 (Comm);  EWHC 451 (Comm);  EWHC 1486 (Comm): acting for the defendant managers in this dispute concerning a €200M investment structure and claims brought by certain investors and the lender. Amongst other things, the proceedings involved interim freezing injunctions and other interim relief. Tata Steel UK Ltd v Metal & Waste Recycling Ltd: acted unled for the Claimant in a claim relating to loss caused by a fire in a steelmaking plant. AAH Pharmaceuticals Ltd v Birdi & ors  EWHC 1625 (QB) (with Harry Matovu QC): acting for the claimant in a fraud claim relating to allegations of diversion of funds, including claims for breach of contract and equitable and tortious wrongs. Proceedings involved (amongst other things) obtaining freezing injunctions against various defendants and dealing with complex issues of service out of the jurisdiction. Summary judgment was obtained against the defendants in June 2011. A Nelson & Co Ltd v Guna SpA  EWHC 1202 (Comm) (with Fergus Randolph QC): acting for the claimants in a breach of contract claim relating to the failure by a distributor to comply with contractual obligations to transfer registrations necessary for the sale of products in Italy as homeopathic. The Claimants successfully obtained judgment on issues of liability in the Commercial Court. Case C-268/17 AY (with Maya Lester QC): acting for the defendant to national proceedings in a preliminary reference to the CJEU concerning human rights issues in the execution of a European Arrest Warrant, and the principle of ne bis in idem/double jeopardy. 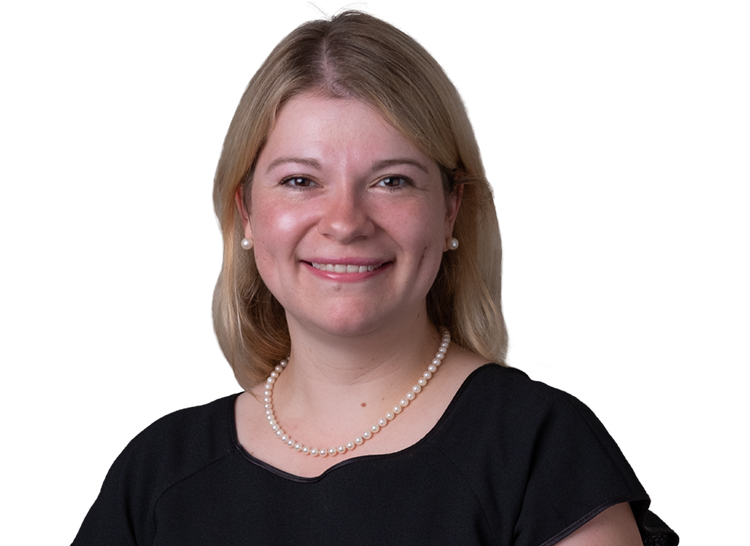 R (Bajracharya) v SSHD  EWCA Civ 277: Sarah acted pro bono in the Court of Appeal for the appellant in his challenge to a decision to refuse permission for judicial review of a refusal of a Tier 2 (General) worker’s visa. Speciality Produce Ltd & ors v Secretary of State for the Environment, Food and Rural Affairs (with Aidan Robertson QC): acting for the Claimants in a Francovich claim relating to losses caused by the wrongful denial of payments under the Common Agricultural Policy. The trial of issues of quantum is listed for February 2019, after the Defendant conceded liability in mid-2017 (shortly before trial). R (WXYZ) v Secretary of State for Health  EWCA Civ 1034 (with Marie Demetriou QC): Sarah acted as junior counsel for the successful Secretary of State in this claim for judicial review concerning the sharing of patient data for the purpose of imposing immigration sanctions. R (Owusu) v Secretary of State for Home Department  EWHC 1102 (Admin): instructed unled for the Home Secretary in a substantive judicial review concerning a claim for leave to remain on asylum and private/family life grounds. R (Linda Ellard Ltd) v Legal Services Commission: acted unled for the LSC in a judicial review claim involving a challenge to the rules on the allocation of duty solicitor slots. R (UKPNS) v GEMA  EWHC 3678 (Admin) (with Richard Gordon QC): successful claim for judicial review seeking the quashing of an Ofgem determination on the Third Package of EU law measures providing for access to electricity markets. Pro bono work: for instance, in R (Bajracharya) v SSHD  EWCA Civ 277 (mentioned above), Sarah acted pro bono for the appellant in the Court of Appeal. Sarah is also a Reviewer for the Bar Pro Bono Unit, in which capacity she considers which applications for assistance should be accepted by the Unit. Ranked in Competition Law – UK in Chambers Global 2015.